Look up the Old Steine on Brighton & Hove City Council’s directory of Listed Buildings and its importance is immediately clear. Not only is its entry long, it also contains perhaps the City’s two most significant buildings; both Grade I Listed. Dr Richard Russell played a large role in transforming Brighton from a washed-out fishing village into a Georgian playground. He published famously published his ‘Dissertation Concerning the Use of Sea Water in Diseases of the Glands’ in 1750 and soon afterwards built a house on the south side of what was then simply known as ‘The Steine’. The gentry flocked to Brighton for his seawater cures and The Steine, due to both its location and being flat, was a perfect place for them to stroll. The fishermen, who used it as an area to dry their nets, weren’t too happy though. The Steine became the ‘Old Steine’ when the New Steine was developed to the east in the 1790s. The Royal Pavilion, one of Britain’s finest palaces, was built on The Steine in various stages from 1787 to 1821. 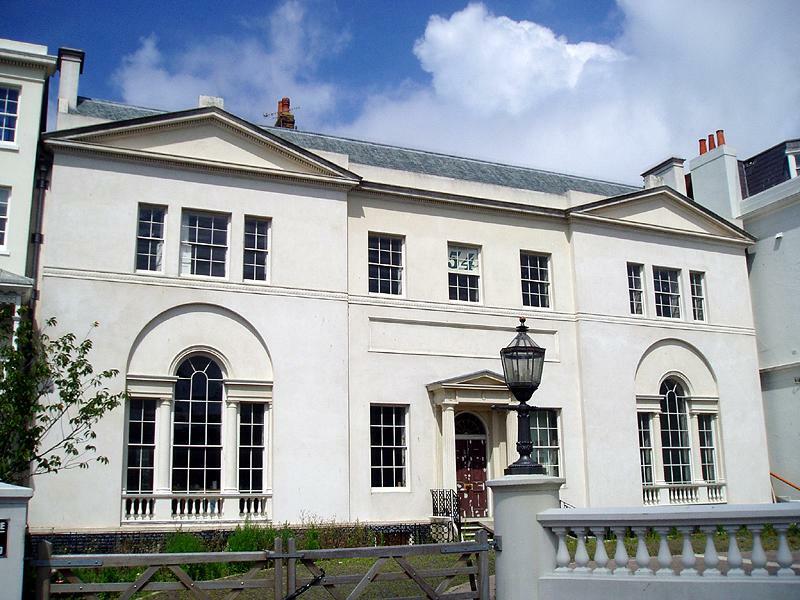 Marlborough House, often said to be Brighton’s second most important building, was built on the west side of The Steine in 1765. These two great buildings along with Steine House and Blenheim House in-between form quite a parade. The Victoria Fountain was designed by Amon Henry Wilds, my favourite architect. The fountain itself sits on a base of sarsen stones which is appropriate as the word ‘Steine’ may be derived from the Flemish word for stone. The Palace Pier (I refuse to call it ‘Brighton Pier’ as the owners now want us to – what rubbish!) has sat at the base of the Old Steine for over one hundred years. There are many buildings and monuments that I could mention but, instead, I’d prefer to constructively criticise the road layout. Unfortunately, it’s not possible for me to put my thoughts into polite terms! The Old Steine along with the Victoria Gardens and the Level should simply be combined, where possible, into something much more impressive. Until roads are removed and pedestrians given priority, Bournemouth’s Lower Gardens are way ahead in terms of safety, beauty and accessibility. 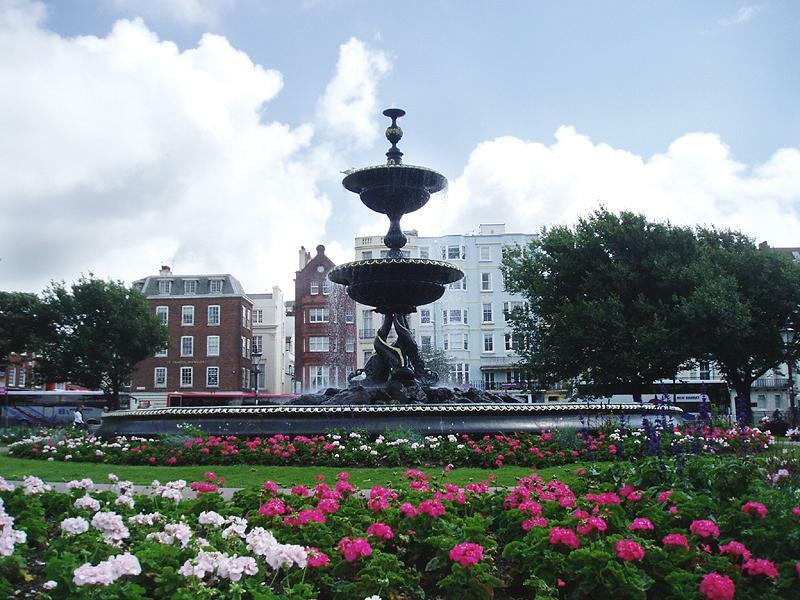 For a unique view of the Old Steine, be sure to book a place on Southern Water’s enlightening sewer tour. Without giving too much away, the tour’s point of exit is quite a surprise.